Rupert Pupkin Speaks: Film Discoveries of 2016 - Everett Jones ""
Everett is longtime an avid movie watcher and user of Letterboxd like myself - follow him there: http://letterboxd.com/everettjones/ - I've gotten many good film recs this way. 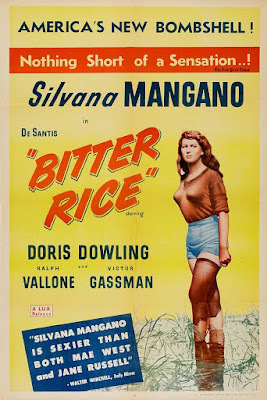 Before the Criterion release this year, I was mostly familiar with this 1948 film, about female rice field workers in the Po Valley, from, essentially, a cheesecake still of its star, Silvana Mangano, standing in a flooded field up to her ankles and wearing a very tight-fitting sweater. Film reference book editors obviously liked using this still, most often next to some earnest text about the loosening of censorship after WWII. So I was expecting a kind of sexed-up version of a neorealist film—which I got—but what I wasn’t expecting was what a great thriller it would also turn out to be. 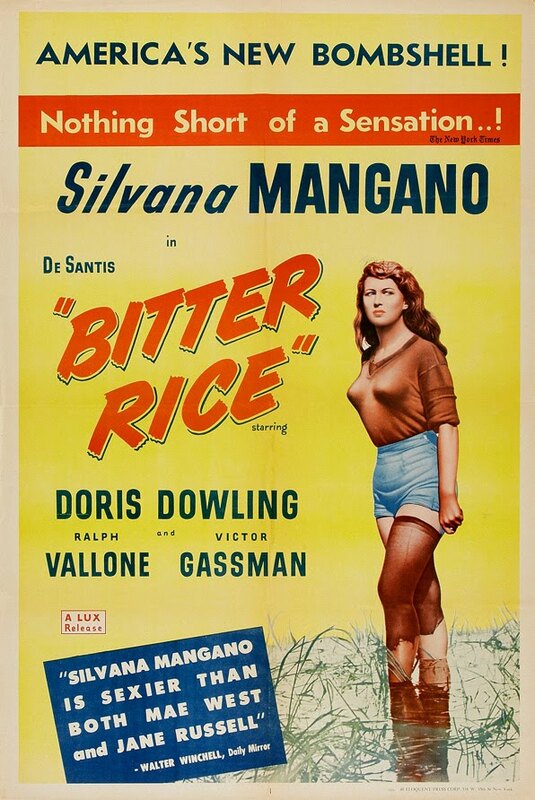 Stealing a rice harvest doesn’t sound like a very exciting heist, but director Giuseppe De Santis extracts tension worthy of any classic noir out of his four protagonists’ shifting relationships—in addition to Mangano, thieves Vittorio Gassman and Doris Dowling, and ex-soldier Raf Vallone. It all comes to a head in a slaughterhouse confrontation that deserves to be better known as a classic suspense setpiece. By the end, this is playing like an uniquely Italian take on American pulp fiction—operatic noir. Director Jean Gremillon’s had three films of his from the ‘40s released through Criterion’s sister label Eclipse, but the rest of his work remains hard to see, at least in the U.S. That includes this, his first sound film and an early sound feature in general (1930), which takes a fascinating approach to the then-new technology. The story is both gritty and fable-like, involving a man jailed for the murder of his wife in one of France’s overseas colonies, who’s paroled back home to Paris to discover the innocent young daughter he remembers growing up into the same life of crime. Gremillon approaches the early scenes in the penal colony like a kind of anthropological documentary into the lives of the convicts. Even after the story proper takes hold, back in Paris, he continues to experiment, letting sound play across unconnected scenes in a way that would be taken for granted now, but not then. The movie does have a significant flaw—the depiction of a Jewish pawnbroker which seems, perhaps not intentionally anti-Semitic, but insensitive, especially in light of the then-rising Nazis and France’s later checkered history under them. But this is otherwise an incredible discovery, somehow seeming simultaneously antiquated and up-to-date. This 10-part, six-hour-long French silent film was made as a serial, but unlike other examples that come to mind—Buck Rogers, say, or the early French classic Les Vampires—with naturalistic settings and a basically credible—if hyper-melodramatic—storyline. The hero, the scion of a wealthy manufacturing family, is framed for a crime he didn’t commit by a treacherous friend obsessed with his fiancée. 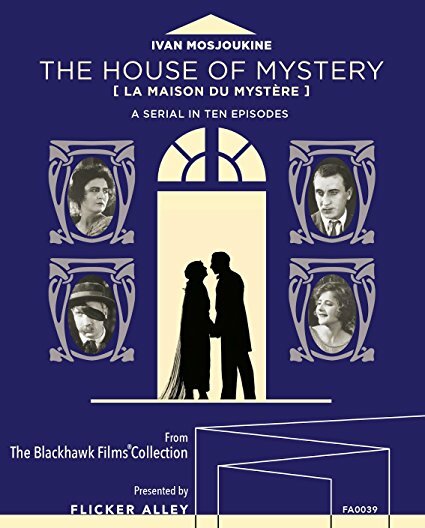 Watched in full, it’s like a Jazz Age equivalent to binge-watch-optimized modern cable dramas—but with the direct appeal to emotion that I find a lot in silent movies, and that seems to come a lot less easily to the 21st century. Along the way to the hero’s much-delayed return home, the film offers an absolutely unforgettable stunt sequence—it comes in the episode titled “The Human Bridge”; a nice train-set action scene—something I’m always grateful for; and a fascinating lead in Russian-born star Ivan Mosjoukine, who manages to combine unselfconscious intensity with a seemingly knowing goofiness. 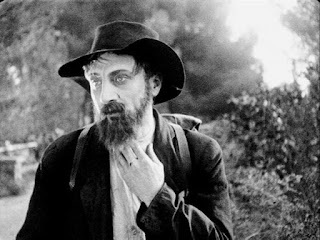 This is another silent French film, which might suggest this list is getting dangerously tasteful. L’Atlantide isn’t a serious drama, though, but a far-fetched, pulpy adventure story, the first of several versions of a novel resembling (enough to be sued for plagiarism of) H. Rider Haggard’s She. Instead of Haggard’s She-Who-Must-Be-Obeyed, the story’s explorer heroes come upon the Queen of Atlantis, ruling over a subterranean kingdom in North Africa. Despite this proto-Indiana Jones storyline, watching the film is less like taking a rollercoaster ride than sinking into an armchair and thumbing through a Victorian novel. 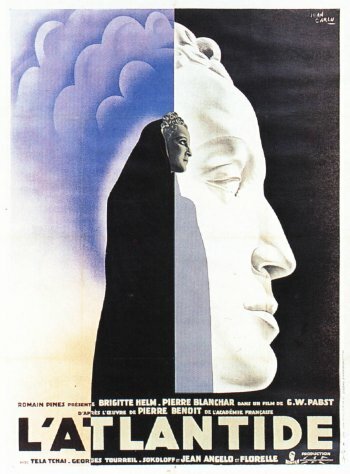 Depending on you, director Jacques Feyder’s approach is either measured or slow, but I found something intoxicating about his somber, dreamy approach to patently ridiculous material. The movie unites grandiose sets with authentic-looking desert locations, all filmed in colonial Algiers (where Feyder apparently put up an enormous tent to contain his shooting stages), but the key to the movie’s opium-dream feel are its ornate, exquisitely beautiful intertitles. 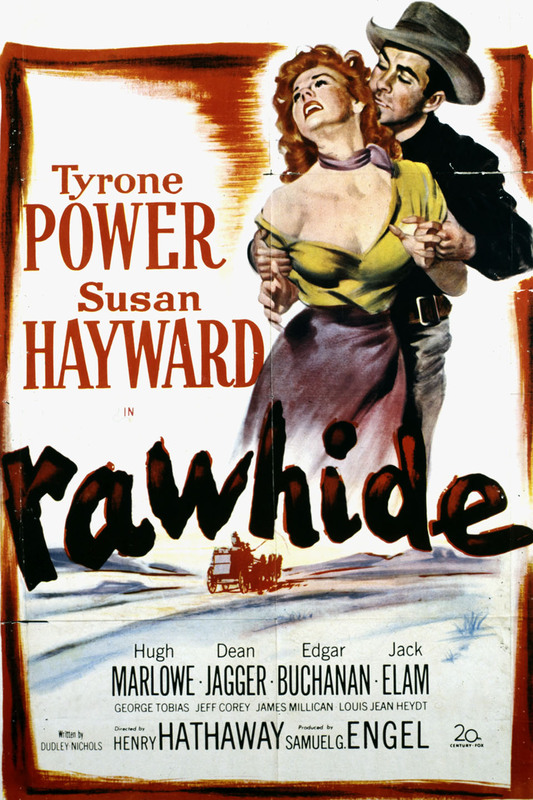 I’m not a particularly big fan of either star Tyrone Power or director Henry Hathaway, but this Western they made together in 1951 blew me away. The main credit is due to Dudley Nichols’s script: his credits include Stagecoach, Bringing Up Baby, and Gunga Din (and the original version of She), and here he provides a taut, hostage-siege scenario (which I’ve learned from TCM’s website was based on the interesting but not particularly good ‘30s gangster movie Show Them No Mercy!) Seen a few months afterwards, it went some ways to making up for the crushing disappointment (for me) of Tarantino’s The Hateful Eight. It’s a (no surprise) much more straightforward, and simply more assured, version of the “claustrophobic Western” formula Tarantino discussed going for—as it did for Tarantino, this sub-genre boils down to outlaws taking over a coach station. 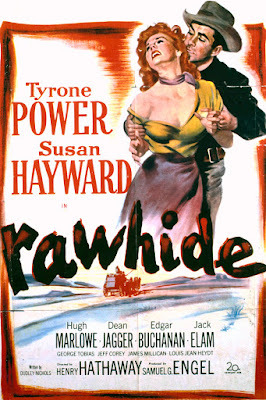 The villains, who include Dean Jagger and the great Jack Elam, are more differentiated from each other than usual for Western baddies, and if Power is a bit bland, Susan Hayward is almost always welcome—she’s like an even feistier Maureen O’Hara.